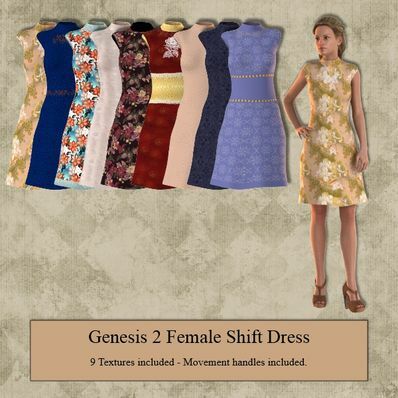 Shift Dress for Genesis 2 Female for use in Daz Studio 4.6. Thanks so much for the real clothes! You are very talented.